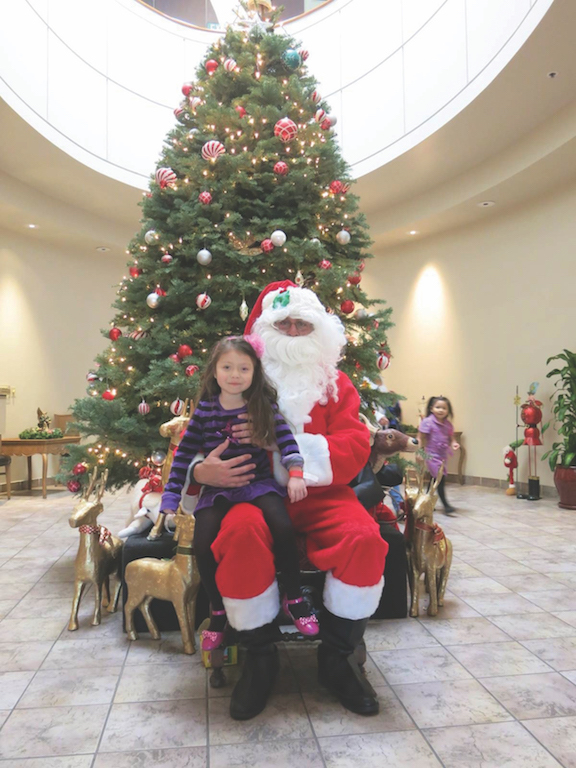 SANTA CLAUS visits the Assistance League. It is easy to go “off list” and get in the habit of impulse buying during the holidays. Put some of those impulses to work and donate toys and gift cards to some of these local organizations. In most cases, toys should be unwrapped and gift cards are requested to be from major retailers. Olympic Police Division’s Operation Shoes from Santa is asking for toy or shoe donations for school-age children by Sat., Dec. 1. For more information, email Eric Mollinedo at 31754@lapd.online. Hollygrove, 815 N. El Centro Ave., part of Uplift Family Services, is accepting unwrapped toys for children ages infant to 15, as well as gift cards, wrapping paper, tissue and ribbon through Fri., Dec. 8. Parents can visit Hollygrove’s “Santa’s Workshop” to select and wrap gifts for their children. The “Elf” movie screening, scheduled for Dec. 1, is canceled. Contact Kathleen Felesina at kathleen.felesina@upliftfs.org. St. Brendan Church, 310 S. Van Ness Ave., would like donations of sports balls (soccer, basketball, etc.) or gift cards by Mon., Dec. 10. For information, call 323-936-4656. The Assistance League of Los Angeles, 826 Cole Ave., is collecting Tonka trucks, Thomas the Tank Engine toys, Fisher-Price classic toys, baby dolls, musical and light up toys, and sports balls to distribute to youth in foster care. Deadline is Fri., Dec. 14 by 5 p.m. For more information, contact Kai Tramiel at ktramiel@assistanceleaguela.org or call 323-469-1973. Good Shepherd Center for Homeless Women and Children, 1650 Rockwood St., is accepting new and unwrapped gifts through Fri., Dec. 21, or check the wish list online at gschomeless.org/donate-an-item. For more information, contact Annemarie Howse at 213-482-1834, ext. 117 or email ahowse@gschomeless.org. Alexandria House, 426 S. Alexandria Ave., is accepting toy donations through Fri., Dec. 21. For more informa-tion, contact Michele Richards at 213-381-2649 or email michele@alexandriahouse.org.